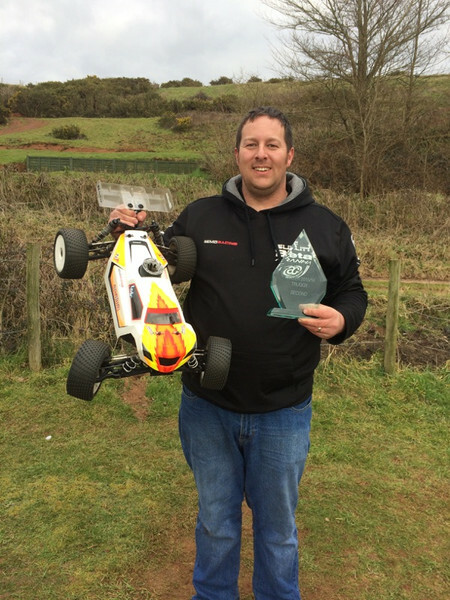 With the British weather finally giving us a break, and allowing some meaningful racing it was a weekend if success for the NEMO Racing team. Firstly over at Ledbury the final round of the AWS series took place, and after tough winter Tony Truman was able to secure the overall series win. After winning last time out at NENE Valley, Tony was in a strong position for the championship, which he was able to wrap up with a conservative approach on the day that secured him 4th place at this unfamiliar venue. 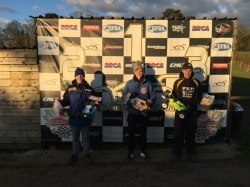 Michael Shorey completed the Nemo double podium in the truck championship. Actually equal on points for the overall championship win. On count back he was classed a fine 2nd overall for the series. Congratulations to Tony and mechanic/dad Phil and Michael on the great successes. Secondly, with the weather dry and clear, the Herts dirt track was ready for use and the track crew had done an excellent job on preparing the track ready for a good days racing. With the good weather, out came the drivers and there was close to 80 entries on hand and some strong competition. 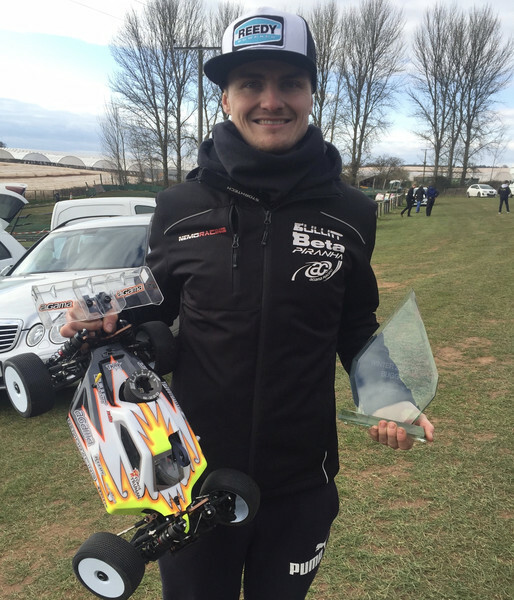 Qualifying saw Ollie Currie take the bull by the horns and show the way by taking the overall TQ, with NEMO team guys Callum Niblett and guest driving from Jon Hazlewood making the top 6, the A215 chassis were working well. The main final saw Ollie battling with Jamie Clancy at the beginning, these two just edging away from the pack. Coming up to pit stop time Ollie got ahead and was able to stretch away from Jamie, but a one stopping Simon Reeves came into contention, but he was unable to live with the pace and consistency of Ollie who put the hammer down and was able to build a comfortable lead which he would hold until the flag. 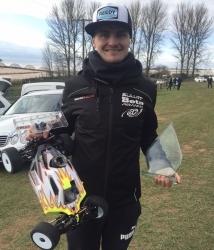 Jon Hazlewood drove a consistent race to place 4th in his first Nitro race for a while, and but for a couple of late race errors he may have had a chance of making the podium.